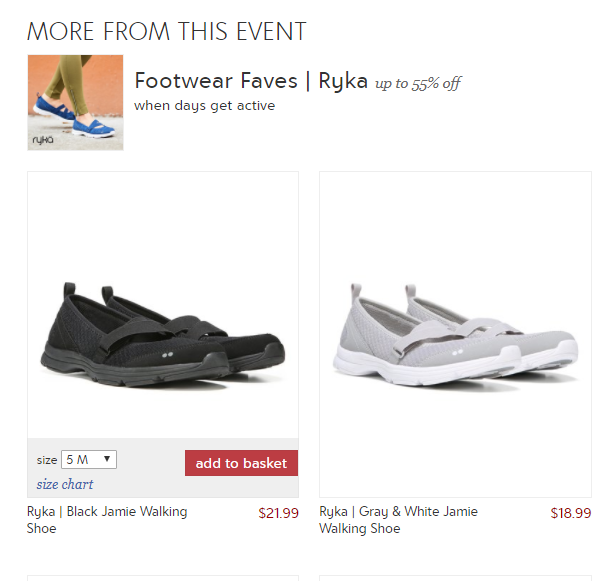 E-commerce Landing Page Showdown – Which Footwear Advertiser Comes Out on Top? Footwear is a multi-billion dollar industry. Nike Inc.’s market capitalization alone is $105.3 billion and growing. 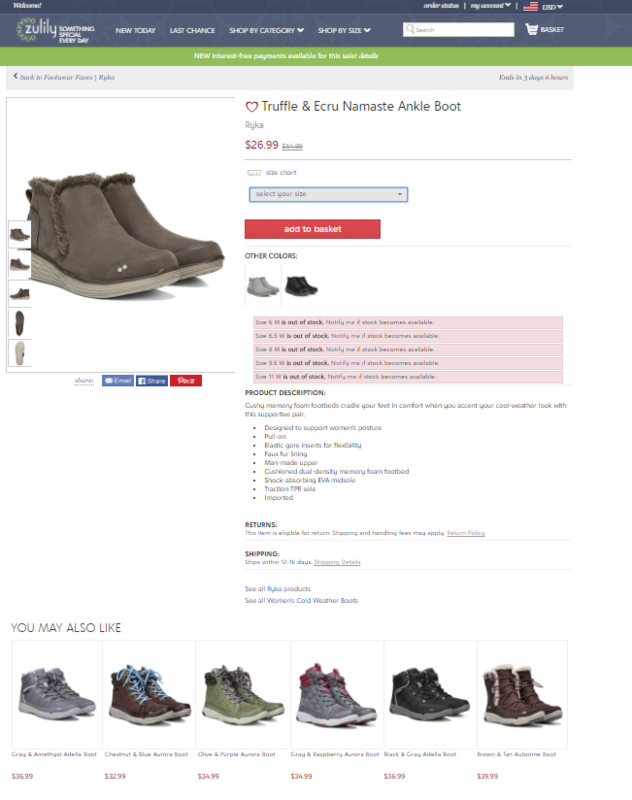 To sell more shoes, footwear advertisers have invested heavily in display advertising. As a result, there’s a lot of data that we can look at. But for this post, we decided to focus on comparing the landing pages of some top footwear advertisers. 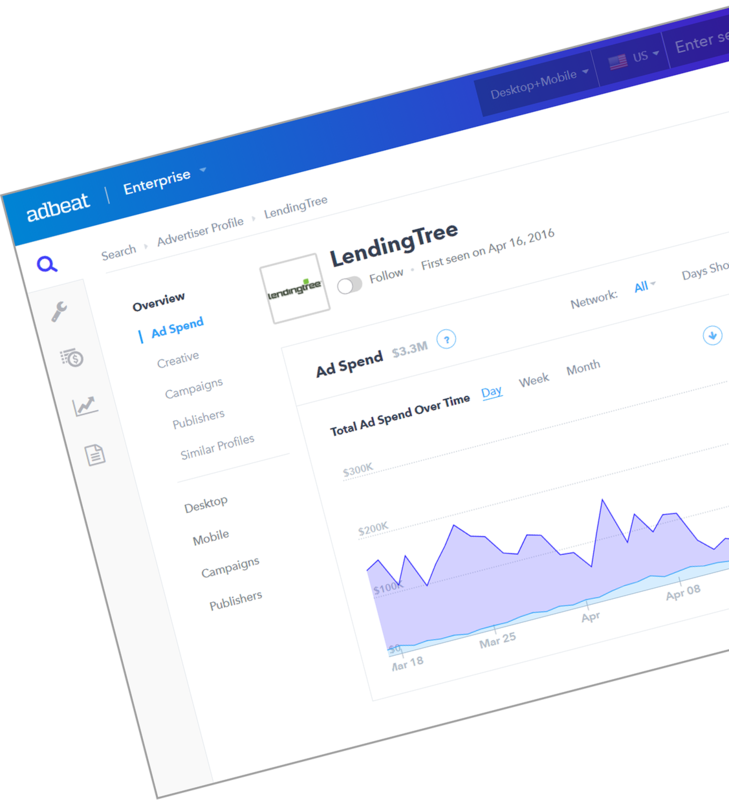 For our analysis we looked in Adbeat and chose three high-spending footwear advertisers. We also limited our analysis to campaigns that lasted for no more than one quarter. I should point out that none of these advertisers sell footwear exclusively; they also sell other items. 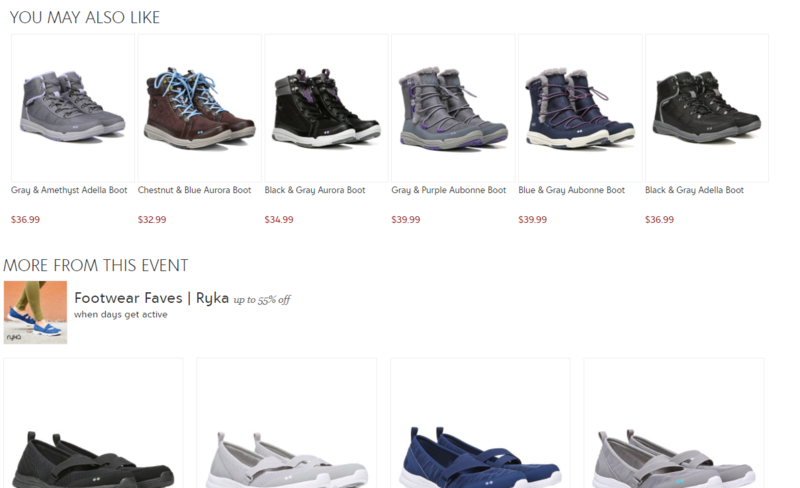 The banners, however, are advertising specific footwear products and lead to specific product pages when we click on them. Which brings me to my next point: The “landing pages” for each of these are really e-commerce product listing pages. So to evaluate these pages, we needed to use some very specific criteria. To make a solid, unbiased assessment easier we decided to use a checklist created by WooCommerce. Billed as the Essential Product Page Checklist, the 26-item checklist offers a solid benchmark for making sure a product page has everything it needs to close the sale. There are four things WooCommerce recommends considering when it comes to product-page images. 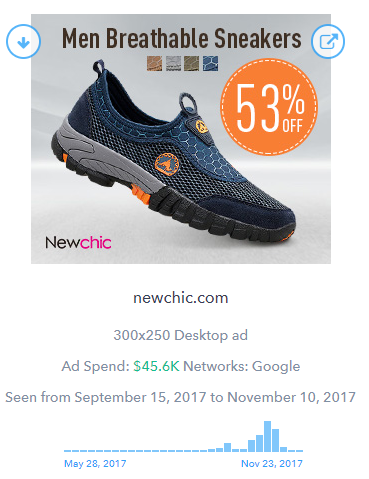 NewChic has 10 images of the sneakers on the product page. You can see five mini-pictures of the sneakers in the screenshot below and scroll to see the rest of them using navigation arrows. Puma has five photos of the training shoes, taken at different angles. Zulily also has five images of the boots they’re selling. 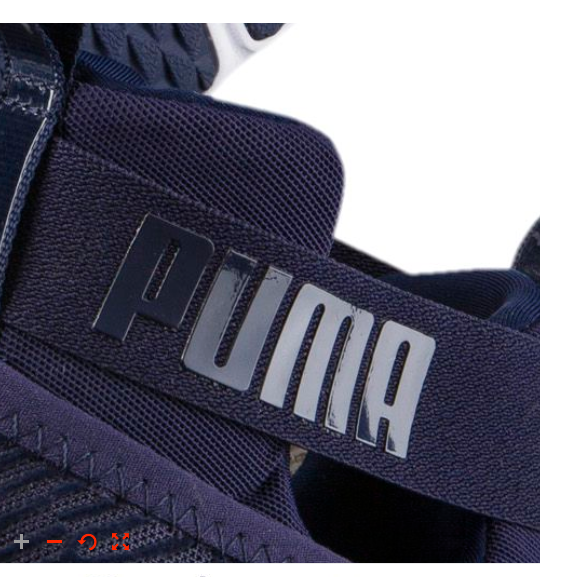 Unlike NewChic and Puma, you can see mini-versions of all the images without clicking on arrows. All three pages get passing marks for having sharp, high-quality photos. While Puma and Zulily allow us to zoom in on the photos, NewChic doesn’t. As you can see from the screenshot below, Puma allows such a deep zoom we can almost see into the soul of the shoe. Potential customers are able to see the product from all angles on NewChic’s website. 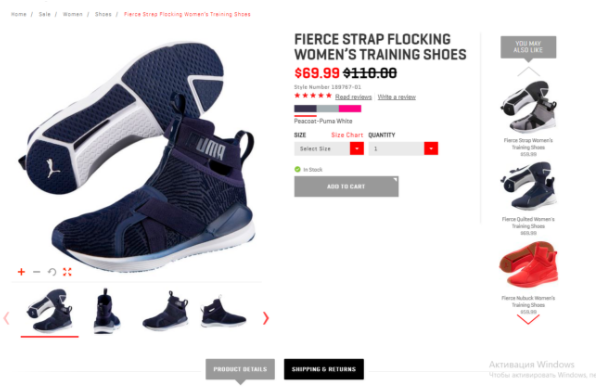 While Puma and Zulily present fewer images on their websites, they still allow customers to see top, front and side views of the footwear. 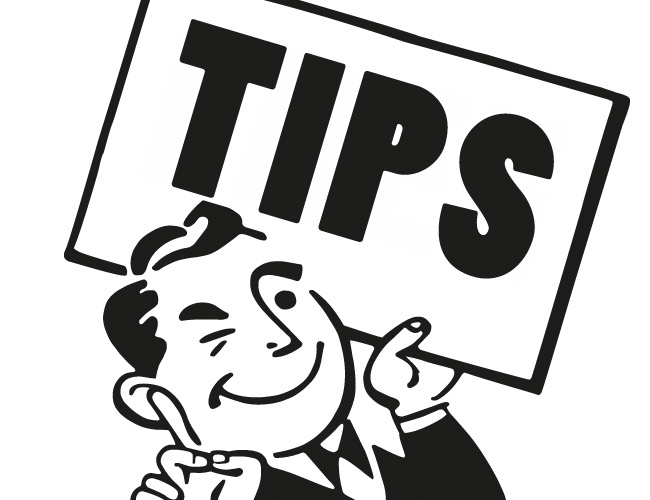 Strong copywriting is essential to optimizing your conversion rate. There are four things WooCommerce recommends considering when it comes to product-page copywriting. 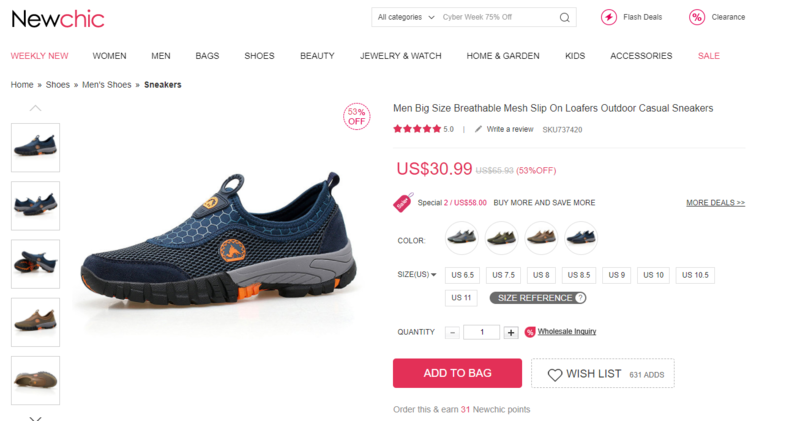 NewChic lists product features, describes the shoe, toe and closure type, describes it as a male or female product, and suggests several occasions and seasons for which the shoe is appropriate. These sentences aren’t overly descriptive, but at least there are several points listed. Puma lists five features of their product and has one descriptive sentence above this list. Zulily uses the same model for product description and their product page. We checked the text with the help of anti-plagiarism software called quetext.com. All three websites had 100% unique text on their websites. All three advertisers made use of keywords and phrases that help with SEO. At first glance, we found no misspellings or grammar errors on any of these three product pages. Just to make sure, we used the Grammarly app to check the pages at NewChic, Puma and Zulily. 0 critical mistakes total for Puma and Zulily’s descriptions. NewChic, however, didn’t fare so well. Two errors showed up (see below). All three product pages list available sizes. They also have a size reference section that includes a table showing how U.S. sizes correspond to other size systems. 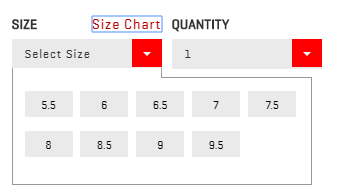 Puma also lists the available sizes and provides users with a size chart. 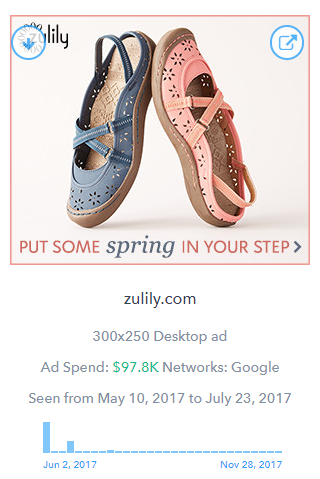 In addition to the selection of available sizes, Zulily informs users about which sizes are not in stock at the moment and invites users to ask for notification when the stock becomes available. Every product page failed this one. There is no information about the manufacturing country on any of the pages. Either they don’t find it necessary to display this information to potential customers, or they’re omitting it for a reason. Perhaps they’d rather not tell them where their products are made. Working conditions in manufacturing countries have sometimes been a point of tension between footwear makers and activists. Standard copyright signs appear on NewChic and Zulily’s sites. NewChic and Zulily have updated copyright signatures to 2018 at the bottom of their product pages. 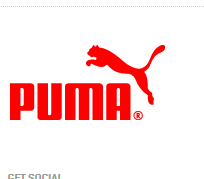 Puma has plenty of information about the Puma brand at the bottom of the page. We probably don’t need to discuss the importance of upselling and cross-selling. It seems obvious that connecting potential buyers to other products and/or showing a wide selection of goods might increase the overall number of items purchased. NewChic has “recommended for you” and “you might also like” sections at various spots on their product page, so we can affirm that they’ve fulfilled this point. Puma has a “you may also like” section that connects to other items. As you can see, the offered products that might be “liked” by users include similar shoes and accessories. So, we can check off this point on the checklist for all three e-commerce shops. We checked whether all of the suggested products can be reached in one click. They turned out to be clickable on all the observed pages. On Zulily’s website, it’s also possible to add to your cart items from the same collection en masse—quite a clever move, as customers can plunk multiple items into the “buy” queue without leaving the single product page. Perhaps Puma and Zulily deserve an extra point here for upselling cheaper accessories and providing an “add to basket” option for other items at the checkout page. However, in all cases, the guidelines of the checklist were met. The three product pages call “the cart” by different names, but the buttons all do the same job. We’d say the shorter, the better. WooCommerce suggests omitting numbers where possible. For small sites this seems reasonable. For larger e-commerce sites this seems nearly impossible. Just have a look at the current web addresses for our product pages. The addresses are neither short nor attractive. We’d say NewСhic wins in this category, but the URL still doesn’t look perfect. We can see that there’s no breakout winner among the participants. Zulily and Puma have an equal score: 14 out of 16 possible points. NewChic ended up with 12 points. Do you agree with our checklist assessment? Perhaps you discovered some “misses” on your own ecommerce store’s product pages. Tell us in the comments section.